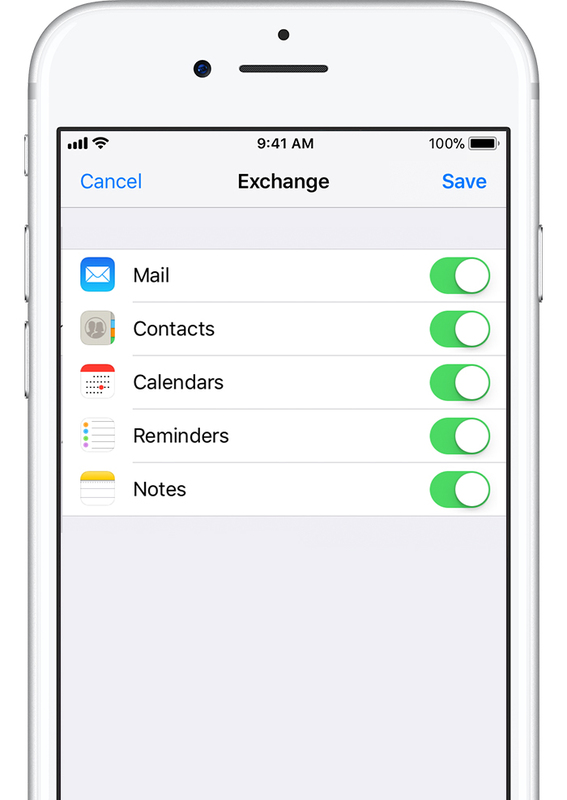 Tap Settings > Mail, Contacts, or Calendar > Add Account > Exchange. Enter your email address and password You can also enter an account description. You can sync Mail, Contacts, Calendars, Reminders, and Notes. When you’re finished, tap Save. 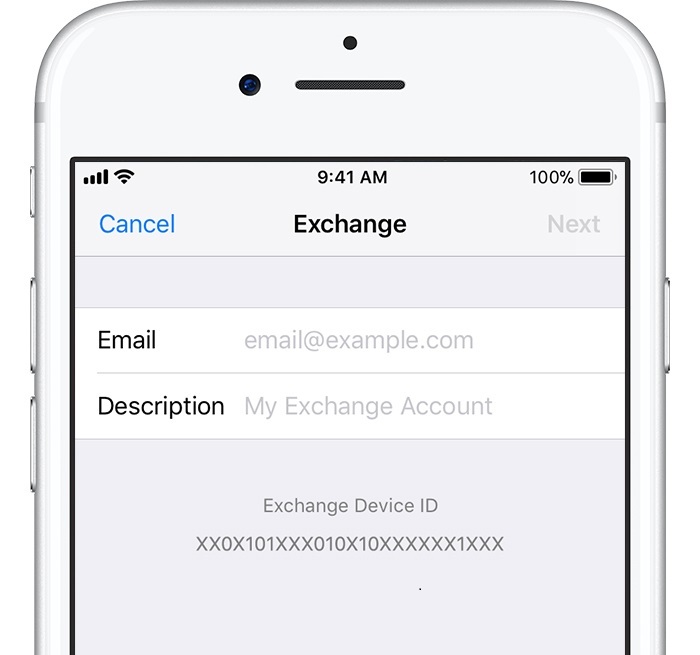 Tap Settings > Accounts and Passwords, and select your Exchange account. You can also set up automatic out-of-office replies, and change how often you want Mail to sync. 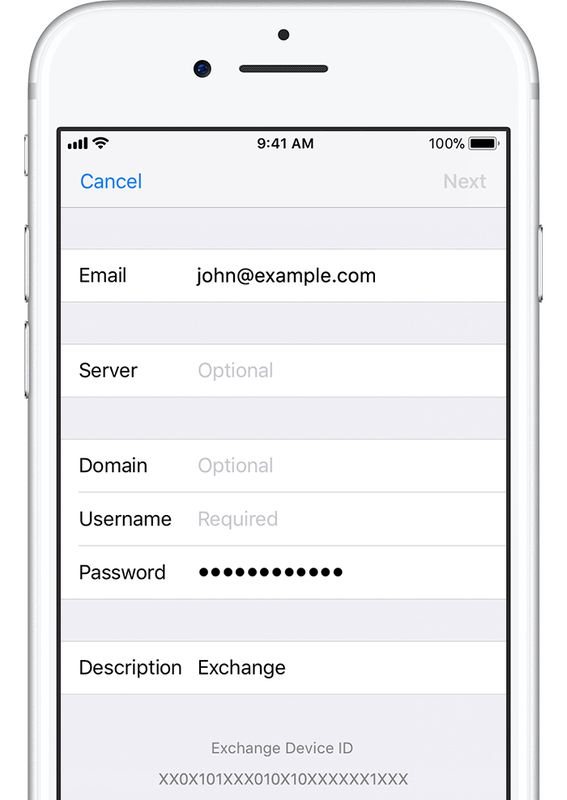 You can also tap your account name to change Advanced Settings like SSL and S/MIME. If you require further help, please contact Dataforce UK Support.